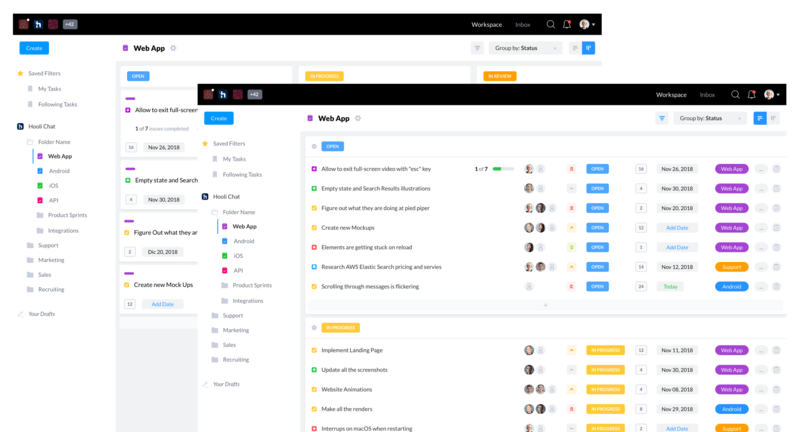 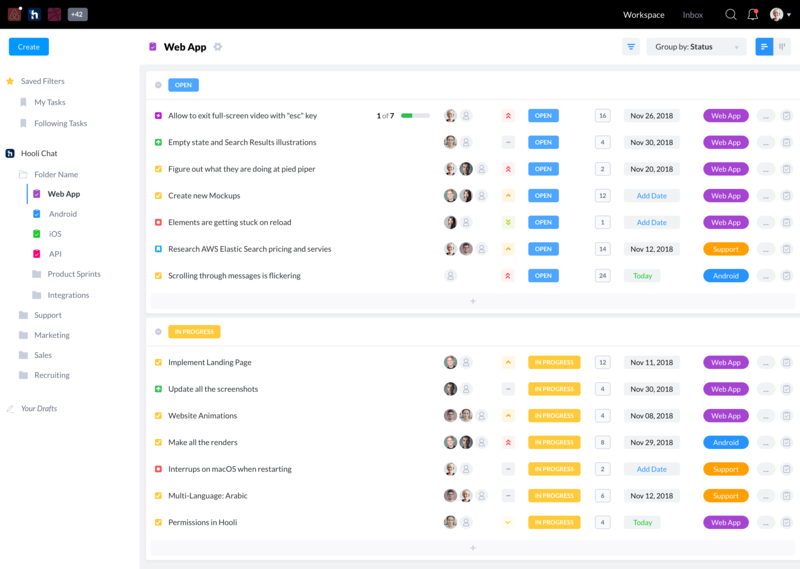 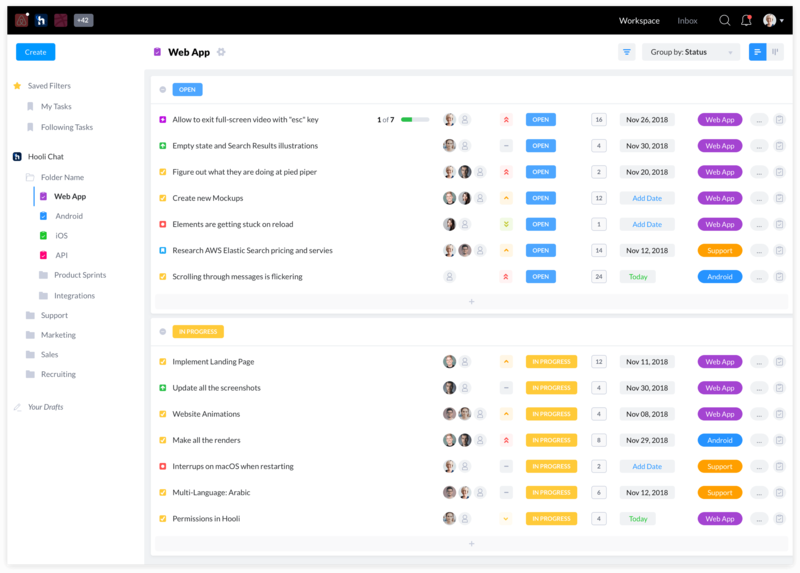 A modern project management tool with everything you need to easily manage your team and projects. 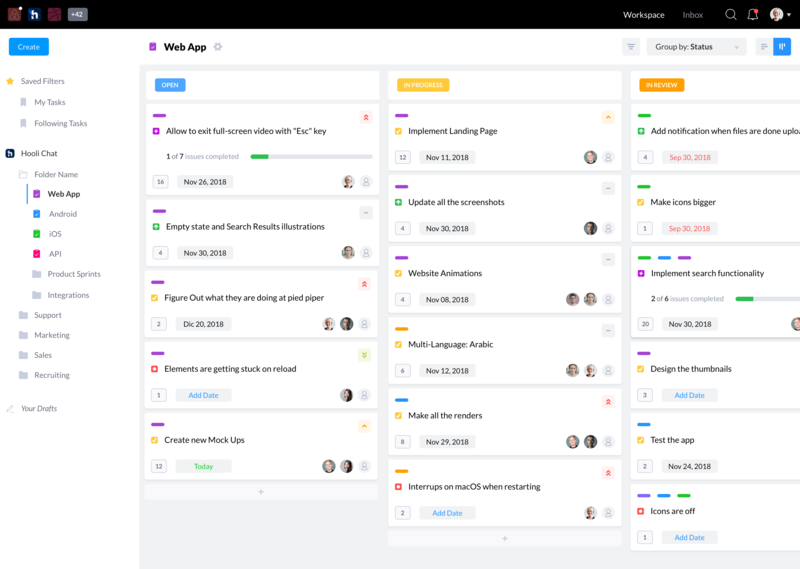 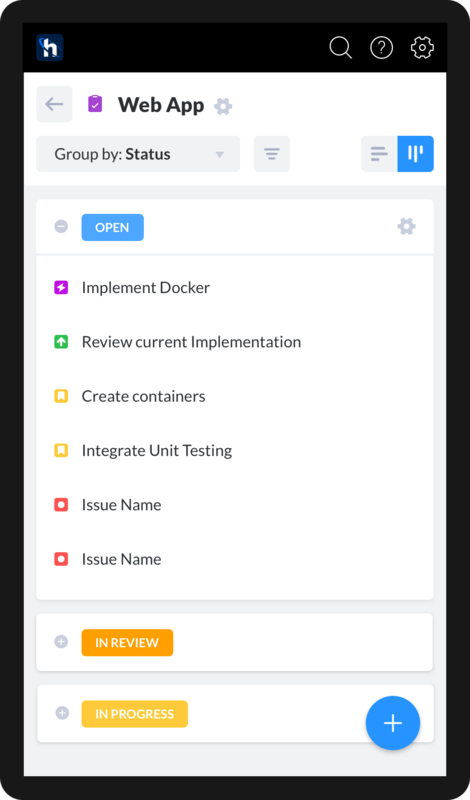 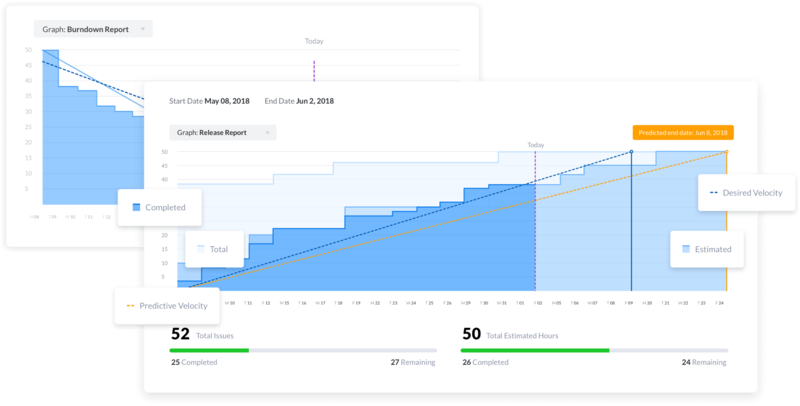 We created a beautiful UI for our own project management tool to make it an enjoyable experience, easy to use, and powerful enough for teams of any size. 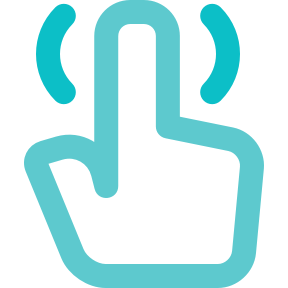 To achieve this we built a robust infrastructure and used the latest technologies and standards to provide all the power needed under the hood. 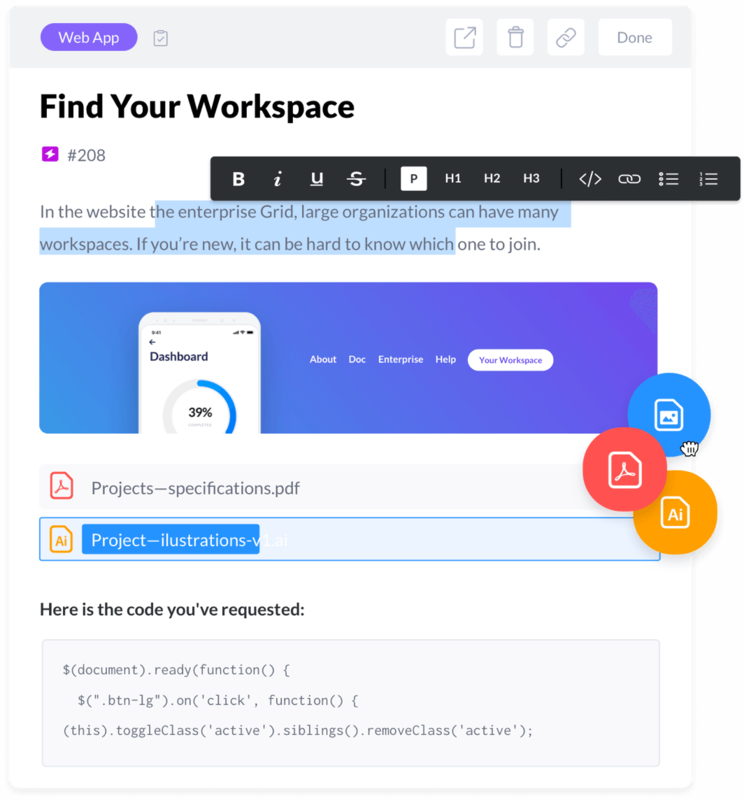 Fully featured, including inline editing, attachments, and images. 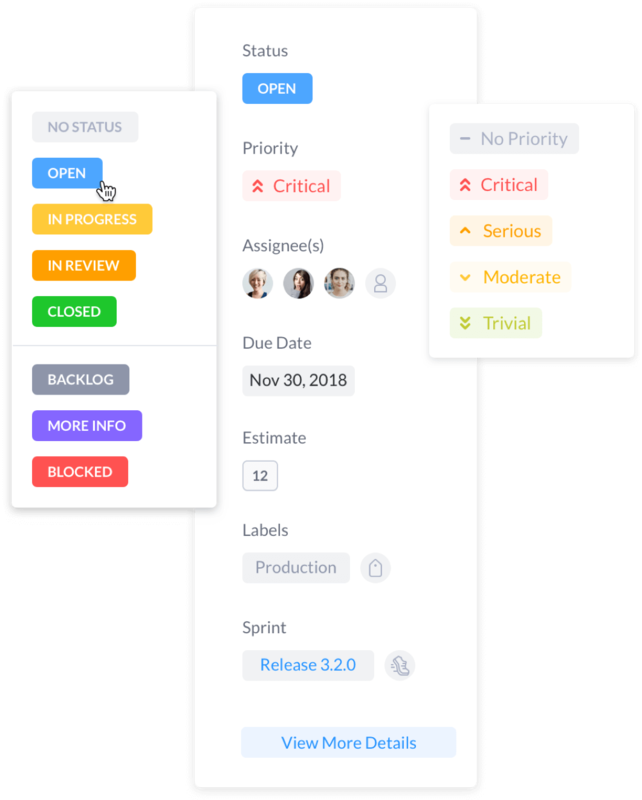 Status, priority, multiple assignees, due date, estimates, labels, sprints or epics, and more. 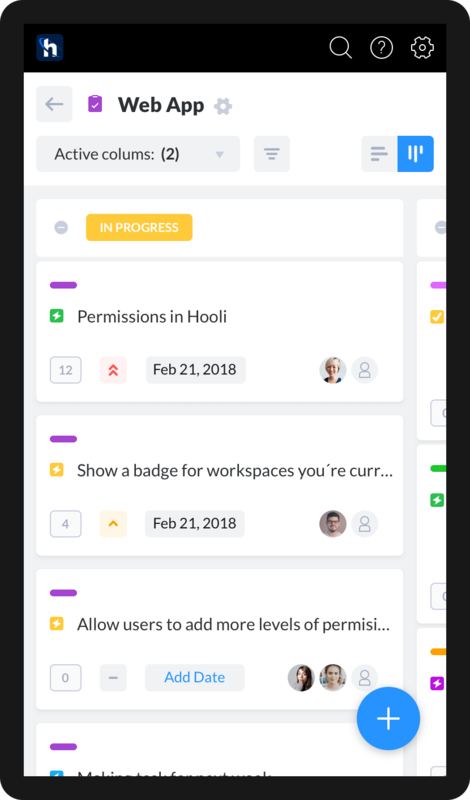 We’ve made Produck flexible enough to allow users to seamlessly switch between list or boards (kaban) views with just a click, just re-organizing the same content with a different design. 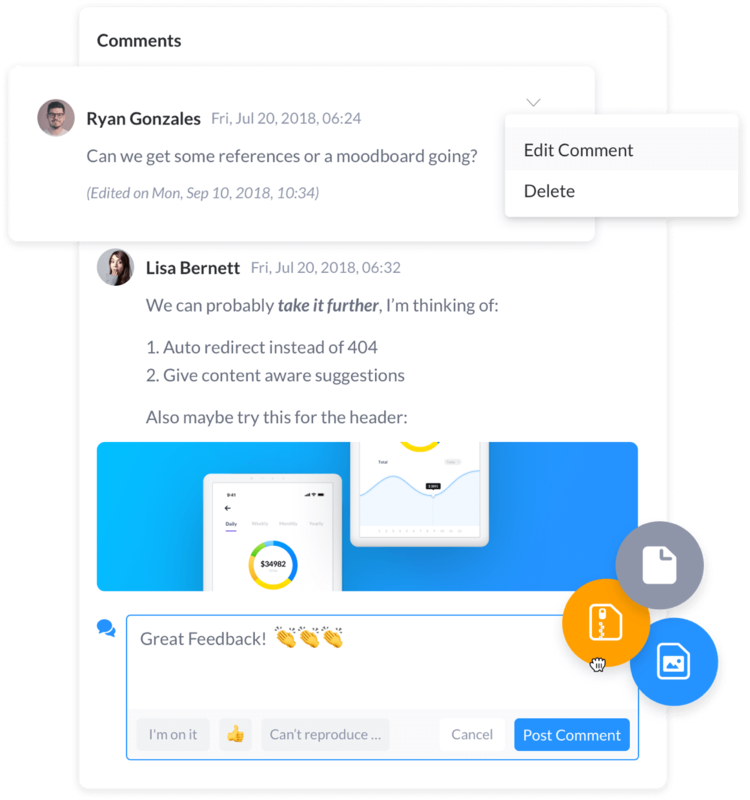 Super-fast live comments with shortcut snippets, attachments, and drag & drop images. 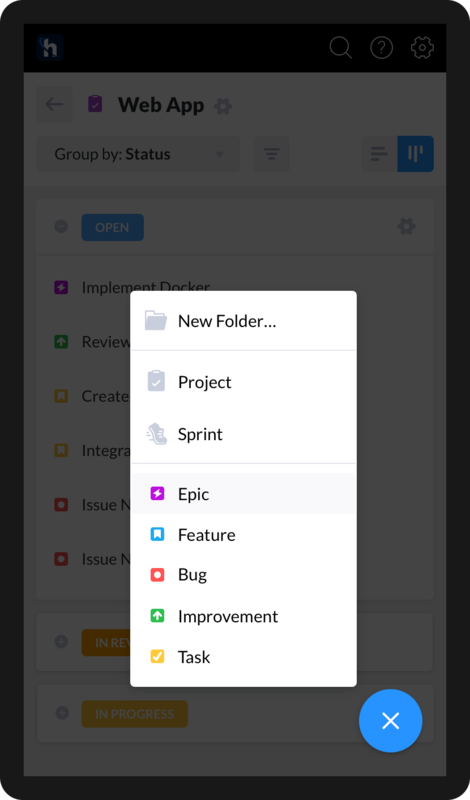 Users can invite users to folders, projects, or sprints, allowing them to access the content nested inside. 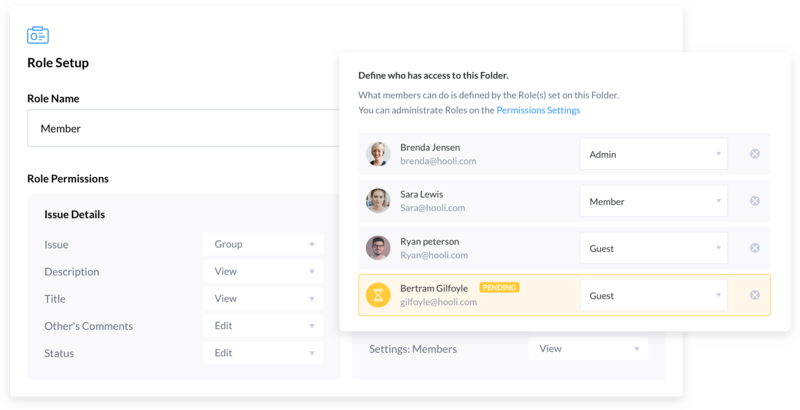 On top of that, we've created the most powerful role builder ever seen, allowing users to create custom roles with granular permissions that restrict visibility and/or actions on specific features. 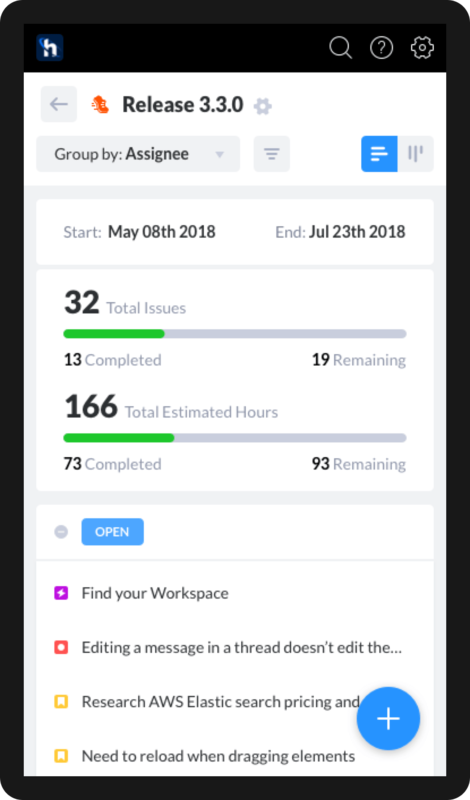 Produck is not only an amazing web application, but it also works seamlessly on mobile devices with key UI/UX updates to make it a truly mobile experience. 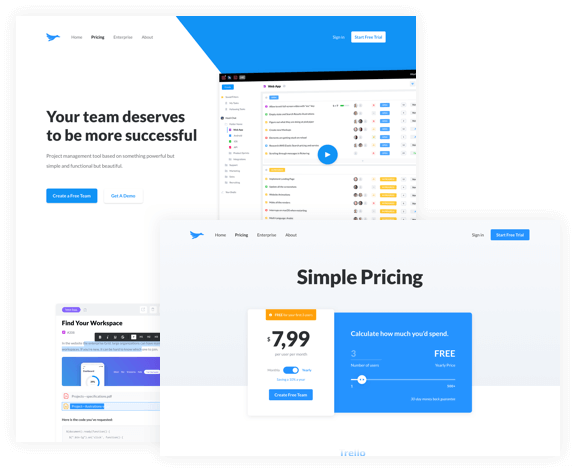 You can create your free account at Produck.io and see for yourself the amazing application we've built.